After “Mujeres hembras”, other bachateros were inspired to record with an electric guitar. Blas Durán’s most important successors, and among the most important founders of modern bachata, were from the area of Montecristi, on the Northwestern frontier with Haiti. Luis Vargas, Antony Santos and Raulin Rodriguez dominated bachata in the early 1990s, and Santos particularly helped to create the style which we hear today. All three are still eminent figures in the genre. While some of Durán’s most popular songs were bachatas as such, his biggest hits were merengues recorded with an electric guitar, and the frontier bachateros included as much merengue as bachata in their repertoire. Doble sentido was also a major part of the early success of Luis Vargas, particularly, and Antony Santos to some degree. This was no doubt due to the great popularity Durán had given the doble sentido merengue at the time that Santos and Vargas began their careers, but the performer who had the biggest influence on the frontier bachateros wasn’t Blas Durán, but rather Eladio Romero Santos. Like its close cousin, son, merengue was originally a combination of guitar and percussion. When the accordion arrived in the Dominican Republic in the 1880s, it became the instrument of choice principally because it was much easier to hear than a guitar when played alongside güira and tambora. Merengue is considered the “national music” of the Dominican Republic, as well as a part of the tradition of Caribbean guitar music, and many bachateros have recorded merengue over the years. Edilio Paredes has a substantial body of work in merengue, as do Augusto Santos and Ramón Cordero. It was Eladio Romero Santos, however, who made merengue on the guitar his specialty. After he recorded “La muñeca” in 1972, by far the greater part of Eladio’s work, and his most popular, was merengue. While Blas Durán and Jesús Martinez took their inspiration from the piano and saxophone of orquesta merengues, Eladio and Edilio Paredes looked to the tradition of merengue típico on the accordion for many of their melodies. Eladio’s típico style was imitated by Santos and Vargas, and Raulin Rodriguez later followed in their footsteps. Both Durán and Romero Santos used the traditional merengue rhythm, however. First Luis Vargas and then even more significantly Antony Santos began to use the more accessible “caballito” rhythm, made popular by Los Hermanos Rosarios. Santos also uses a wide variety of different típico rhythms in his merengues, and has been the most important figure in defining the modern form of merengue de guitarra. He has had help from a talented group of musicians, particularly bassist and guitarist Yovanny Belliard, better known as Memín. The influence of merengue also began to be felt in bachata proper. 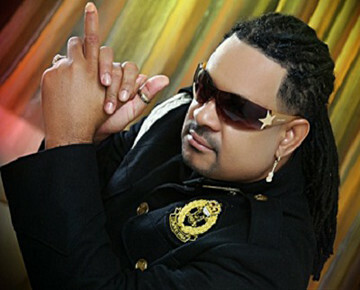 During the 1980s, bachata had become more danceable and one can hear the echoes of son montuno in the songs of Tony Santos and Julio Angel. But the frontier bachateros gave the music a new, even simpler and faster feel. Their bongoceros played with two sticks rather than their hands, and many of the fills and breaks which they play on the bongo sound like tambora fills. The guitar lines, as well, are often the same lines which the same bachateros play in their merengues, but they acquire a different sense in the context of the bachata rhythm. The güira and the bass began to play more syncopated, merengue style lines, and songs began to include a “mambo” section, based on the cha-cha-cha of earlier boleros, which was often for all intents and purposes a slow merengue. It was at this point that bachata definitively parted ways with bolero and became not only thematically but musically a genre of its own. It was also at this point that bachata, beginning with Antony Santos’ song “Voy pa’lla”, began to reach a much larger public, and to shed some of the stigma which had clung to the cabaret and doble sentido styles.